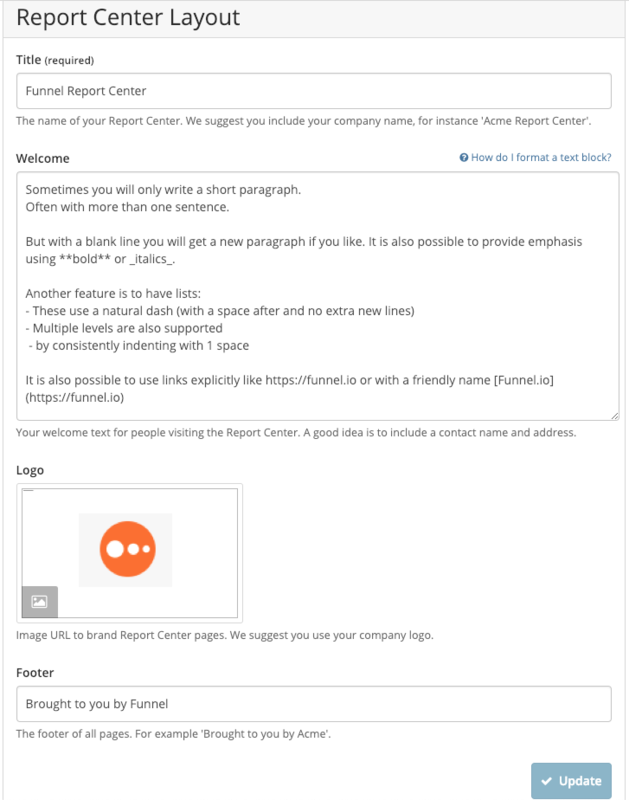 When you create a Dashboard text block, create a Report comment or setup your Report Center you can use some simple formatting rules to improve the presentation. Sometimes you will only write a short paragraph. Often with more than one sentence. But with a blank line you will get a new paragraph if you like. It is also possible to provide emphasis using **bold** or _italics_. Sometimes you will only write a short paragraph. Often with more than one sentence. But with a blank line you will get a new paragraph if you like. It is also possible to provide emphasis using bold or italics (**bold**, *Italics*). 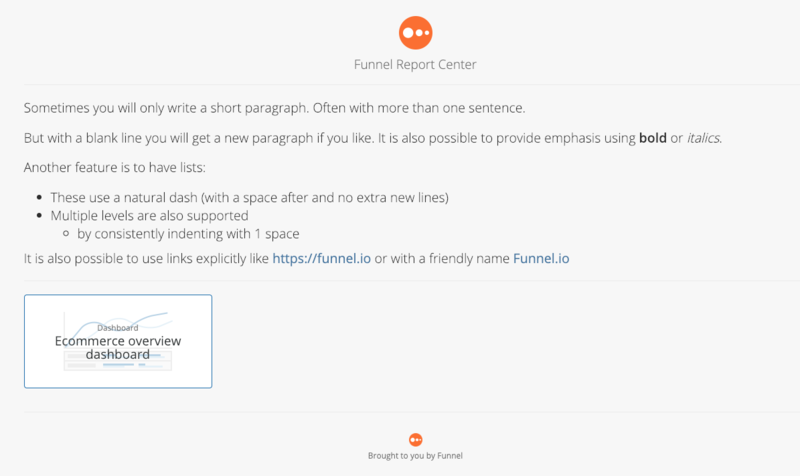 It is also possible to use links explicitly like https://funnel.io or with a friendly name like Funnel.io.